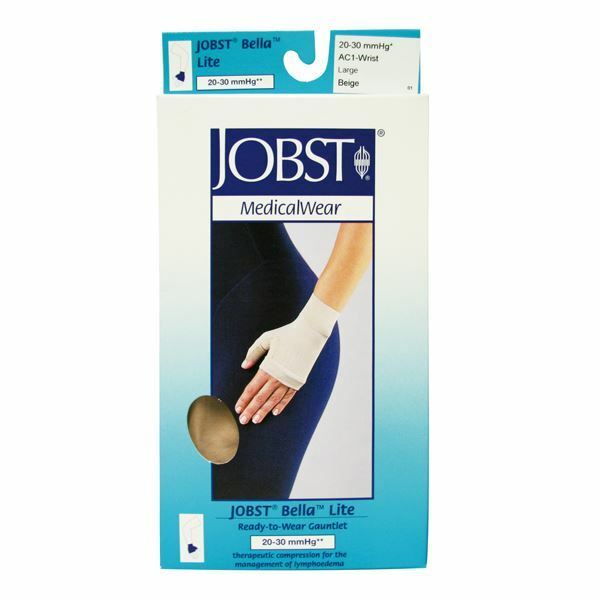 Jobst Bella Lite Gauntlet can be worn separately or together with Arm Sleeve to provide therapeutic control of limb size in the management of mild to moderate lymphoedema. 85% nylon, 15% spandex. These cool and comfortable garments provide sustained graduated compression (20-30mmHg) to assist in patient management following trauma, surgery or radiation therapy. 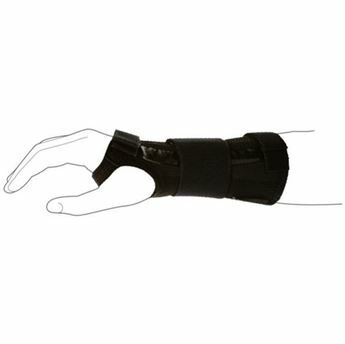 Reduced compression at the wrist provides an effective and comfortable fit when the Armsleeve and Gauntlet are worn together. Works well in conjunction with Elvarex MTM and JOBST Custom Garments. As Jobst Medical Garments provide moderate to extra firm compression levels (15-20mmHg, 20-30mmHg, 30-40mmHg), it is important that a comprehensive assessment is performed before Garments are prescribed. Measure circumference at wrist and palm for sizing.